Background Description: It's not really known how the Oukami Clan really came to be, but as legend has it, a normal ninja from the Hidden Moon village prayed to the moon to spare his dying newborn's life. The wolf spirit of the moon and storms came forth and told him to seal the chakra of a wolf inside his son with his special seal of storms and moon to save him. The ninja did so, when the child became of age, he was able to talk to wolves and use special jutsu no one has ever scene before. As a tradition the boy started the Oukami Clan. Description: This technique grants animal-like accelerated fighting instinct and reflexes. While he can still stand on his own two feet, the user can move at greater speeds by maneuvering on all fours. Their canine teeth elongate, their finger-and-toenails grow to claw-like length, and their eyes become more wild. When under the effects of this jutsu, the user will display feats of physical strength, speed, and endurance when they are in this state. The chakra is capable of glowing around the user's body in an untamed way. He could also use the chakra as a shock wave, sometimes merely thrusting the users fist out to send a rush of energy at his opponent. Description: This technique grants animal-like accelerated fighting instinct and reflexes. In this form, the user could use his/her elongated, sharpened chakra claws instead of his fists, and run at greater speeds on all fours, but still can stand on his own two feet with incredible speed, making him/her more like a beast. The chakra around the user is now shaped like a wolf, but it's still a little untamed. When under the effects of this jutsu, the user will display feats of physical strength, speed, and endurance when they are in this state. The user's most powerful weapon in this state was the wolf shroud itself. The shroud grants the user some measure of protection. He/she could also use the chakra as a shock wave, sometimes merely thrusting the users fist out to send a rush of energy at his opponent. Description: This technique is more powerful than the last two. The chakra around the user is now shaped like a wolf but more defined than the last form. His physical characteristics matched the first two forms, but his canines grew larger. This form also increased his speed to such levels that nothing short of a fully matured Sharingan was able to track his movements. Description: This is the most powerfull of the Wolf Chakra Technique. The chakra around the user is now shaped like a wolf but more dense than the last forms. Description: The user will shape-shift into wolf form. Description: The user, in wolf form, will charge at the enemy with a tornado twisting around him/her, giving the appearance of a torpedo, with bolts of lightning surging from his/her body, with razor sharp water droplets and shards of ice spinning around him/her. Description: This jutsu is a high-speed movement technique, allowing a ninja to move short to long distances at an almost untraceable speed. To an observer, it appears as if the user has teleported. It is accomplished by using chakra to temporarily vitalize the body and move at extreme speeds. The amount of chakra required depends on the overall distance and elevation between the user and their intended destination. This body flicker summons a small tornado infused with sharp water droplets and ice shards around the users body to cause minimum damage to the near by enemy. Then a flash of light coming from the middle causes it to disperse pushing back the enemy and revealing the user is gone. It's used mostly to intimidate and show off. Description: The user forms the necessary handsigns then looks into the enemy's eyes to activate this Move. The enemy then thinks he is paralyzed and is jumped by a pack of wild wolves. In the vision the enemy is helpless while the wolves eat him/her alive. In reality the enemy is standing like a statue. Description: Summons the user's Wolf Pack. Description: The user uses its massive chakra reserve to turn a simple roar into a powerful force of pressure and destruction. Description: The user rapidly bolt (as in run in extreme speeds) around and as he/she crosses the path of the enemy the user slashes the enemy with his/her claws. Description: The user jumps in the air and comes down with a flipping heel-drop empowered with lightning chakra. Description: The user jumps in the air and comes down with a flipping heel-drop empowered with lightning chakra. The lightning then travels on the ground, shaped like a wolf, destroying anything in it's path. Description: A powerful jutsu that uses large amounts of wind nature chakra that can cut and slash almost anything. The user activates it by summoning chakra in his/her hand, and then swipes a slicing chakra wave which appears to be controlled by the user's will and thoughts. Each slash is three feet in length. He/she is also able to use the technique in a rapid-fire, successive motion. Description: This jutsu is somewhat of an enhanced version of the Wind Release: Beast Wave Palm. It used chakra to infused with and condense a mass amount of wind to form a massive demonic-like claw extending from the user’s dominant hand to strike and grab a target, as well as deflect any weapon or attack. In addition to making it a deadly short to mid-range weapon, the extending claw also carries tremendous force that can devastate anything in its path without affecting the user, making it useful for dislodging solid and heavy objects. Description: The user makes fang-shaped columns of water that knocks the enemy into the air. Description: The user makes a giant wave of water that is shaped like a wolf's head, swallowing up and crushing the enemy with the advancing surge. The user can ride the wave, allowing them to move at high speed, and attack the enemy, now swept off their feet, without fear of counter-attacks. The amount of water created is proportional to the amount of chakra used. Description: This jutsu creates a cluster of ice needles, which the user then throws at the opponent. These needles will maim the opponent. This jutsu can be eliminated by Fire techniques. Description: This jutsu allows the user to create a giant wolf made out of ice. The user needs a nearby source of ice or water in order to use this jutsu. This jutsu is cold enough to freeze any Water Release techniques it comes into contact with. Description: The user gathers chakra into a sphere inside his or her body. the sphere detonates inside the body and the chakra is fired from the mouth as a powerful beam. Even if it nips the enemy they will be in critical condition. The downside is if the user doesn't get immediate medical attention he/she will die. 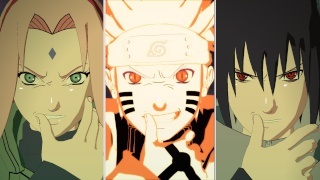 Storm Jutsu: The Oukami Clan has the ability to create their own Storm Jutsu. Packs: When an Oukami member is born they're automatically in they're parents pack. When the member graduates into a Genin they are given there own pack of wolves, which they are the Alpha wolf, and a scroll to summon them. 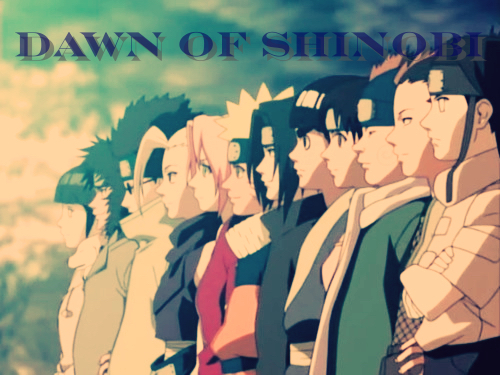 Starts with three wolves in the Genin's Pack. Physical traits: The member's eyes are always golden. Seal: When a baby is born in the clan the parents seal the chakra of a wolf inside it. This seal enables them to use the Wolf Chakra Jutsu, transform, heighten their senses, enhance their strength, speed and agility, and talk to wolves. Transformation: A member can transform, at will, into a wolf. The wolf's fur will be the same color as it is in human form. A full grown wolf would be about 10' in length, as tall as a horse, but thicker and much more muscular, with dagger-like incisors. The females member is much smaller than the males. Moon: The members of the Oukami Clan draws in the natural energy of the moon at night, making them stronger at night and even stronger when the moon is full. Alpha Wolf: This position is given to a clan member when he/she becomes a Genin. Alpha Wolf: This is usually the male or the strongest of the two spouses. Beta Wolf: Usually the female or the weakest of the two spouses. Pup: The son/daughter of the Alpha and Beta Wolves. Firstly, in the 'Extras' field, you basically repeated the same paragraph four times with only slight differences. This makes it too jammed up. Reduce the number to two, at most three, or best, one. Sonic roar? Wolves howl, not roar. xD Either turn it into a Sonic Howl, that acts as a shock-wave, or remove it; a roar technique is cliche. Clawing Swift Wolf Fang sounds like a weird Chinese Martial Arts technique. D: The description is hard to understand; the user 'bolts' around the enemy? The user slashes the enemy with what? And what exactly do you mean by opposite side? D: And if my visualization of the jutsu is correct, it should be at least C-rank, not D.
Thunder Kick could be D-rank if you like; Thunder Wolf Kick could also be just C-rank. A shockwave technique is never too powerful. Beast Wave Palm shouldn't be able to slash through anything. You are, after all, a wolf. A wolf bites more than it slashes. And the chakra slash that you make using it should be much larger than a tandem. And if it is large, i.e. each wave is one meter or longer, then using it in rapid-fire should rapidly consume the user's chakra. The Violent Wind Palm should be A-rank, suggesting by the way you want to use it. Far too powerful to be just B-rank. You named another jutsu 'Wolf Tsunami' as well! D: Change the name. Ice Wolf jutsu must be A-rank. Summoning a giant, freezing wolf made out of ice needs a hell of a lot of chakra, especially to maintain the cold temperature. If chakra detonates inside your body, you realized that you'll probably die, right? o_o Provided you realize that, make it S-rank and an attack powerful enough to kill your opponent.